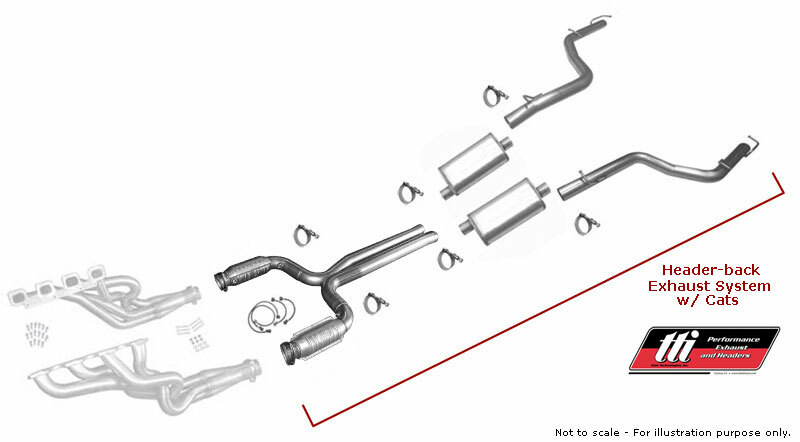 These products are generally not legal for sale, or use in California, unless such parts are installed on vehicles that did not come originally equipped with a catalytic converter, or are installed on off-road or racing vehicles which are never used upon California highways. Use on California State and Federal highways is a violation of the EPA Clean Air Act. 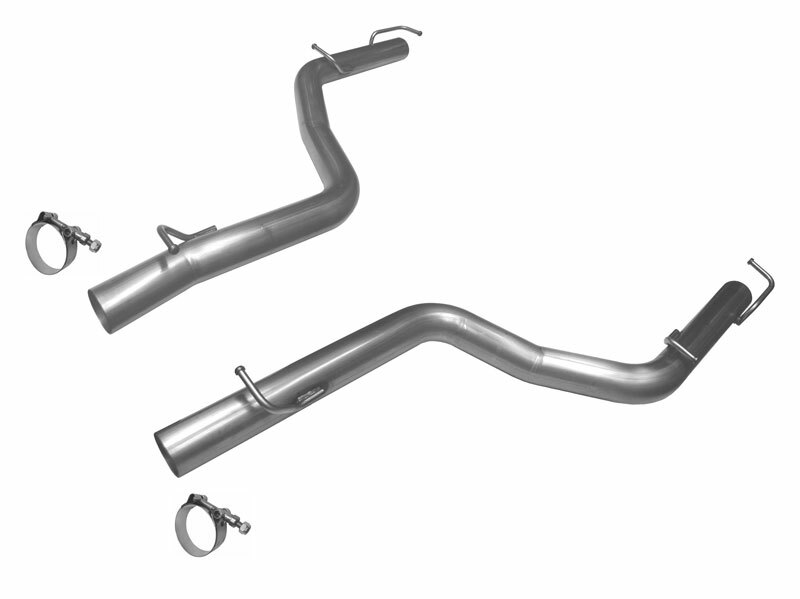 By purchasing the aftermarket TTi Performance Exhaust & Header products, purchaser relieves and indemnifies Tube Technologies Inc. from any and all related costs and liabilities, and assumes any and all risks and liabilities associated with the use and application of such products. 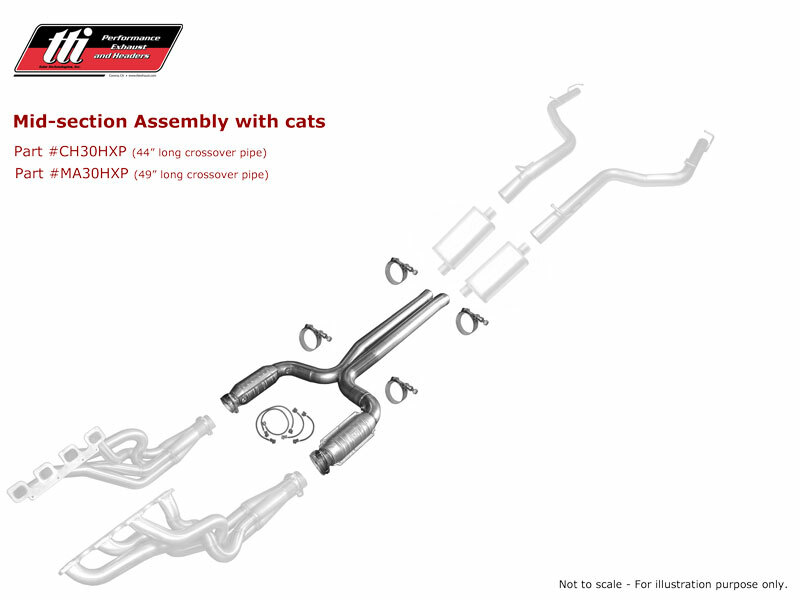 Includes everything necessary for the bolt-on installation: Header gaskets, header bolts, O2 sensor wire extension harnesses, clamps, socket bolts, nuts & washers. Headers include: Header gaskets, header bolts, socket head-cap screws, washers & nuts. 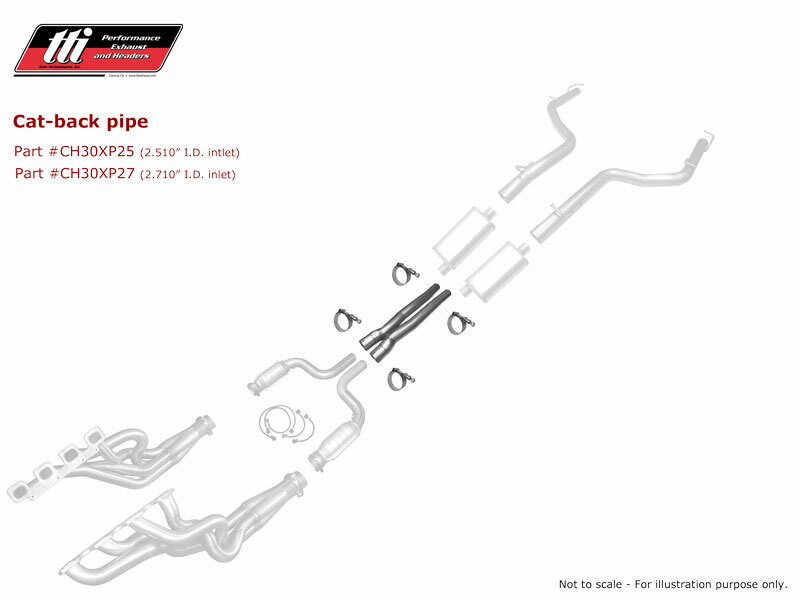 NOTE: Header-pipes will be required to transition headers to a factory exhaust. 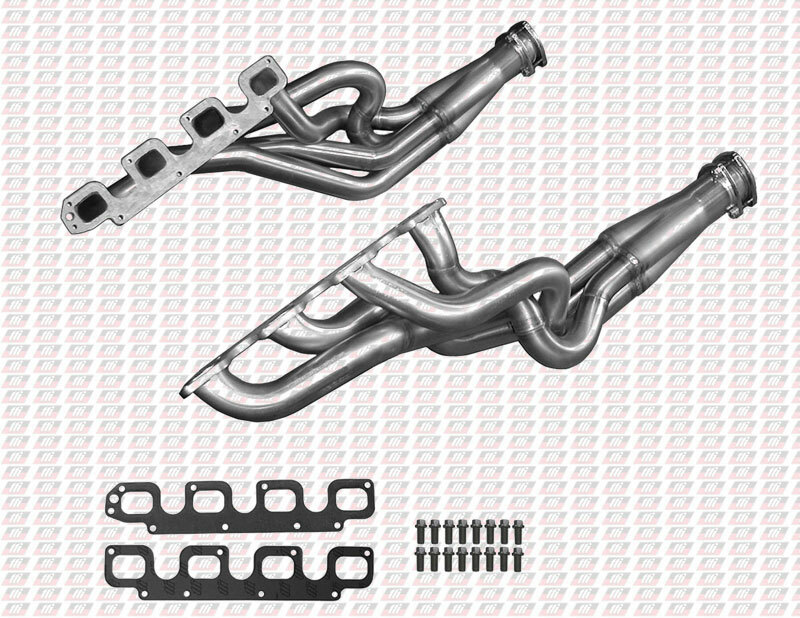 NOTE: These are handmade headers, built to order. Estimated production time 8-10 weeks. 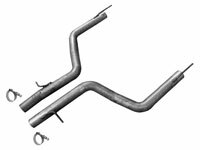 Header-back exhaust systems were designed to bolt-up to TTi headers. 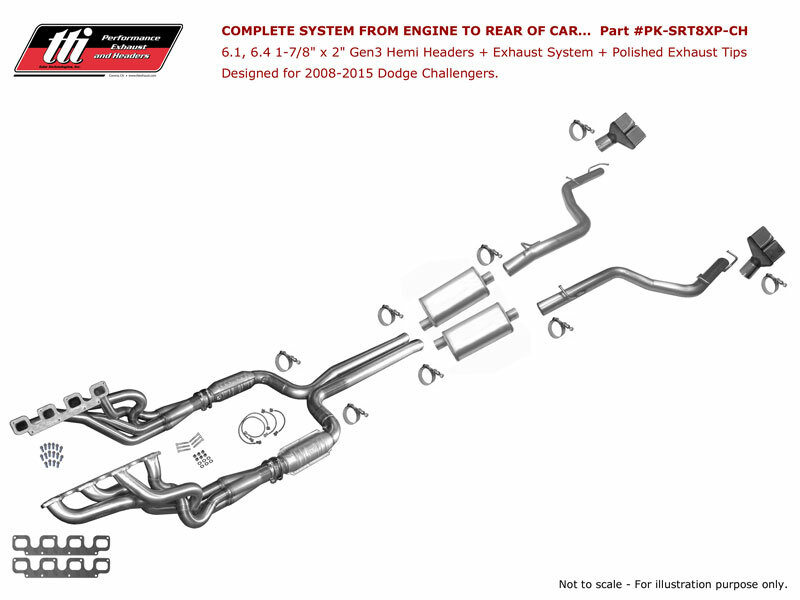 System includes: X-pipe assembly with catalytic converters, MF mufflers, rear exit Tailpipes, (4) O2 sensor wire extension harnesses, (6) SS band clamps & Socket bolts, nuts & washers necessary for the bolt-on installation. 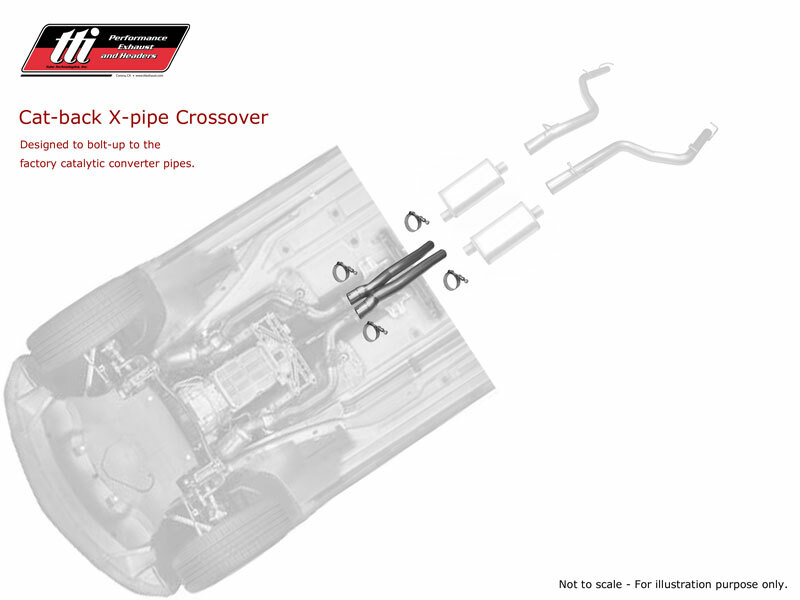 X-pipe assembly equipped with (4) O2 bungs positioned in standard locations. 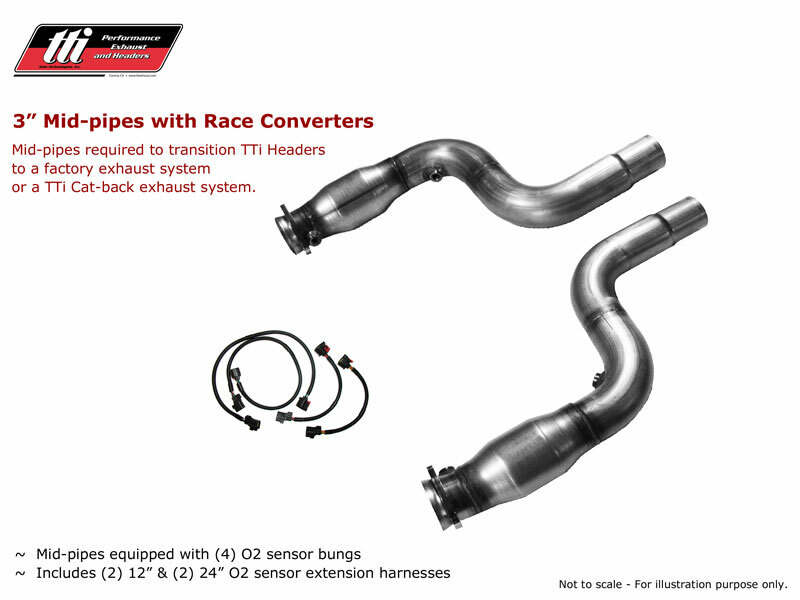 System does not include polished exhaust tips, sold separately. 3.0" O.D. 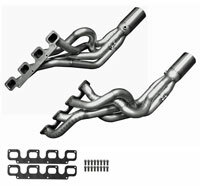 16 gauge 304 stainless steel tubing, mandrel bent on sophisticated computer controlled bending machines for precise fit and uninterrupted exhaust flow, bolt-on installation using the stock hanger locations. 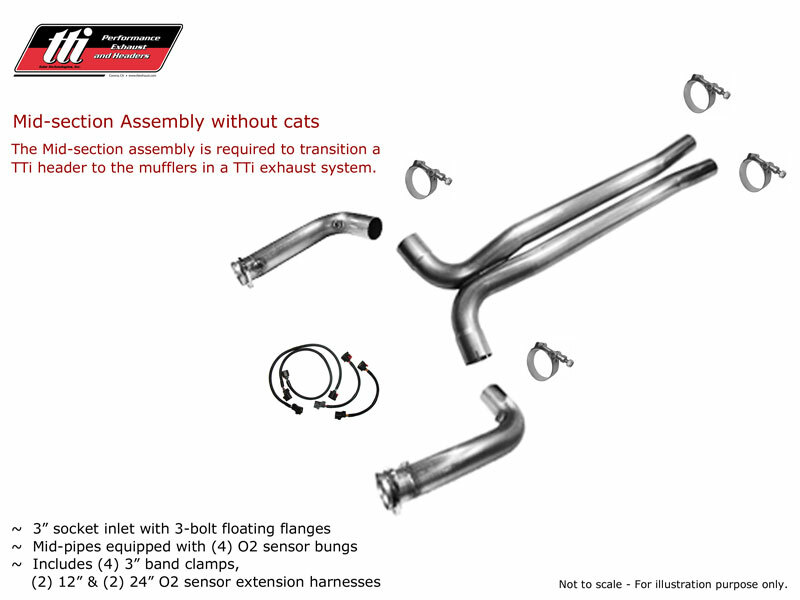 System includes: Cat-eliminated X-pipe assembly, MF mufflers, rear exit Tailpipes, (4) O2 sensor wire extension harnesses, (6) SS band clamps & Socket bolts, nuts & washers necessary for the bolt-on installation. 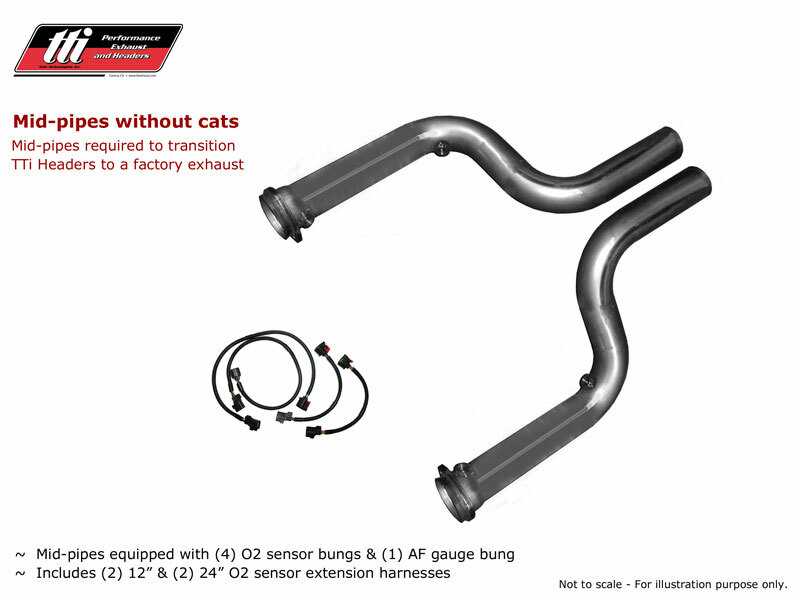 Cat-eliminated X-pipe assembly equipped with (4) O2 bungs positioned in standard locations. 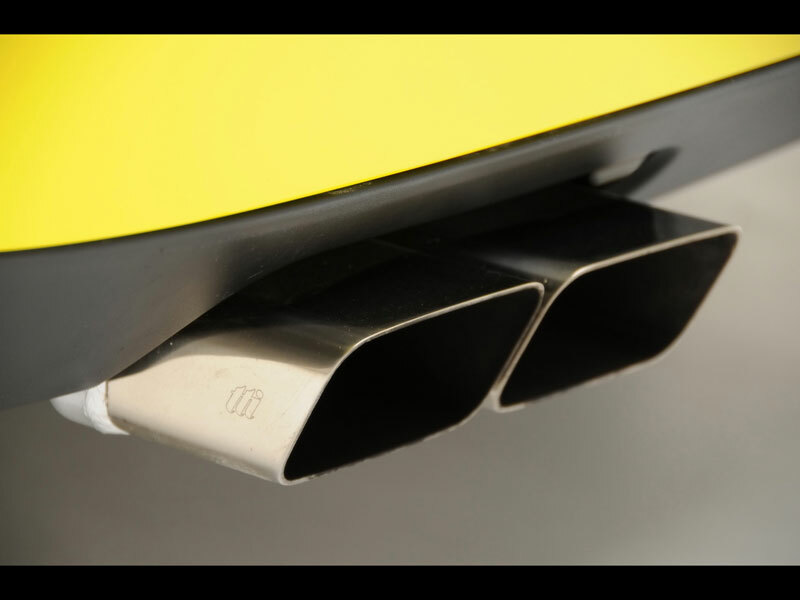 Systems do not include polished exhaust tips, sold separately. 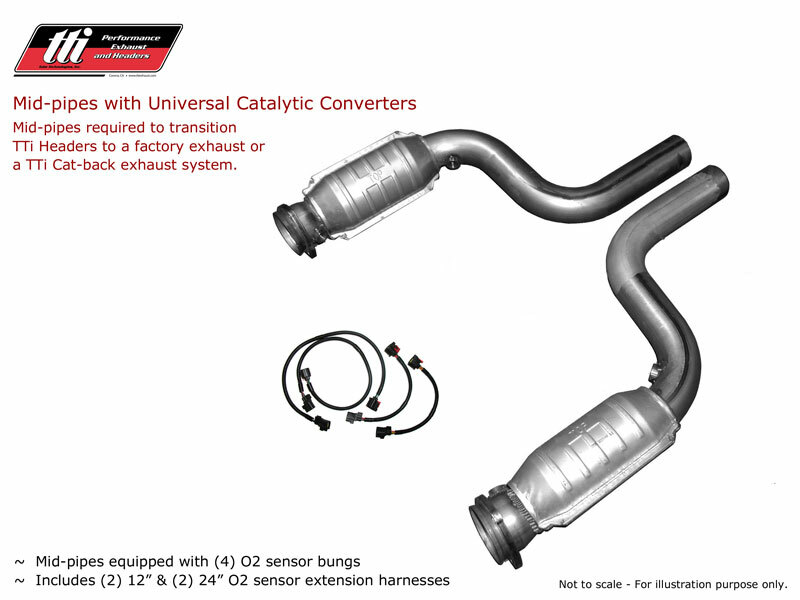 Designed to bolt-up to the factory direct-fit catalytic converter pipes. System includes: 3.0" O.D. 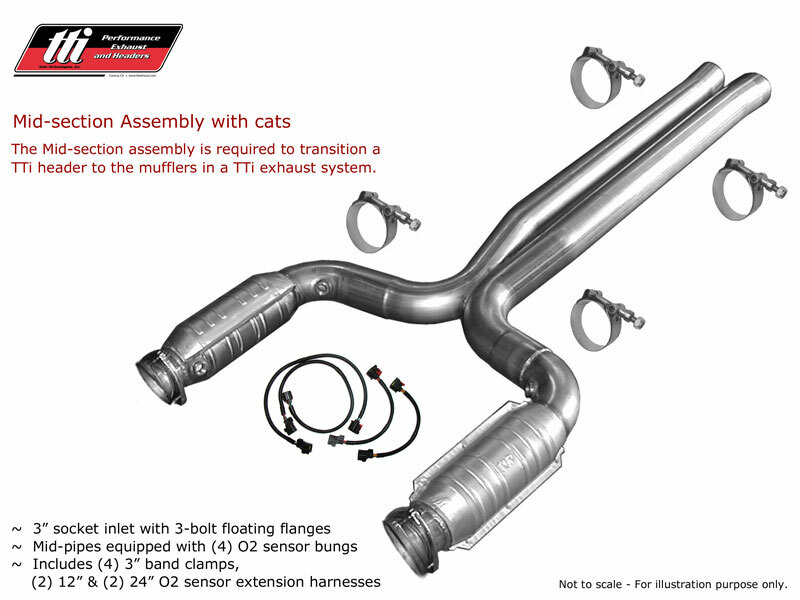 Cat-back X-pipe crossover, MF mufflers, rear exit Tailpipes, SS band clamps necessary for the bolt-on installation. 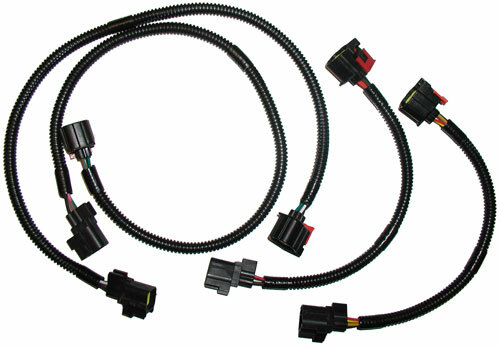 3-piece assembly includes: (4) O2 sensor extension harnesses, (4) SS band clamps, Socket bolts, nuts & washers necessary for the bolt-on installation. 3.0" O.D. 16 gauge 304 stainless steel tubing, mandrel bent on sophisticated computer controlled bending machines for precise fit and uninterrupted exhaust flow, bolt-on installation. (!) 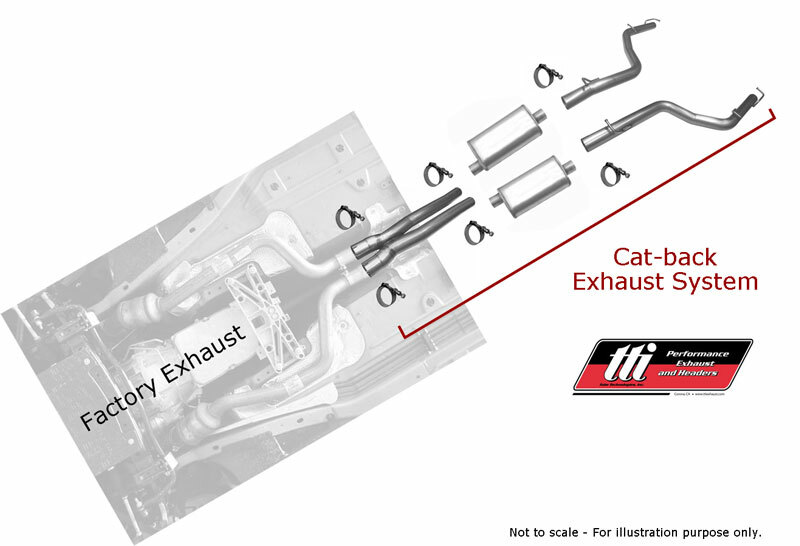 Header-pipes were designed to transition a TTi header to a factory-direct exhaust system. Outlet: 2.50" O.D., 2.70" O.D. or 3.00" O.D. 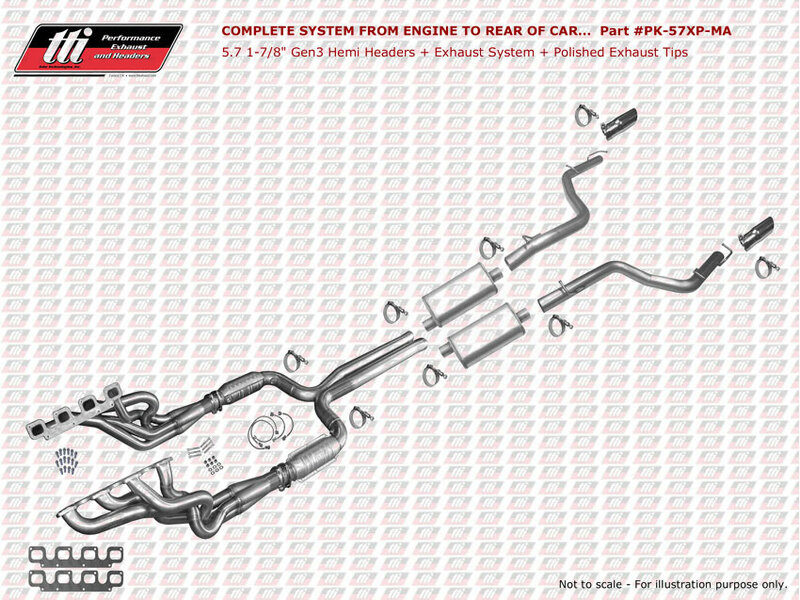 Includes: (4) O2 sensor extension harnesses, Socket bolts, nuts & washers necessary for the bolt-on installation. 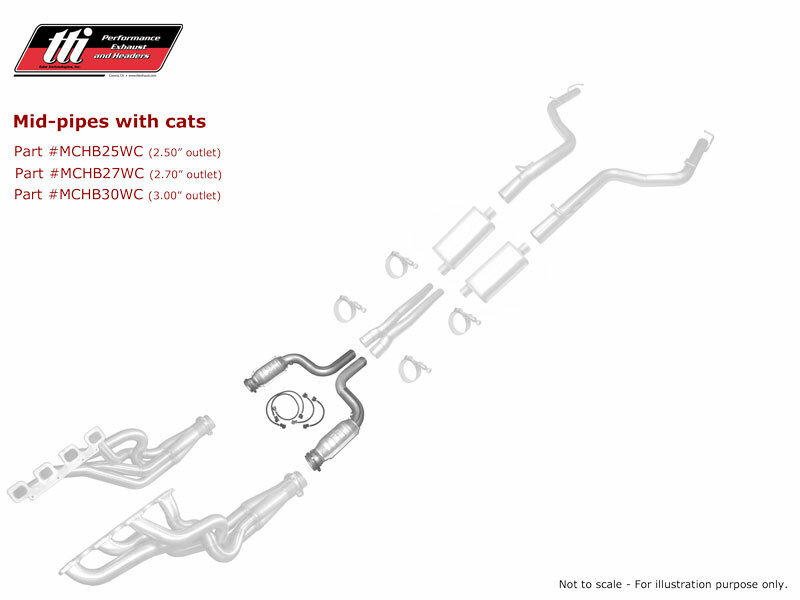 Cat-Eliminated Header-pipes equipped with (4) O2 bungs positioned in standard locations. 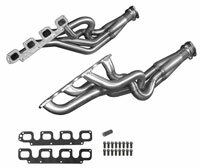 Header-pipes include: (4) O2 sensor extension harnesses, Socket bolts, nuts & washers necessary for the bolt-on installation. 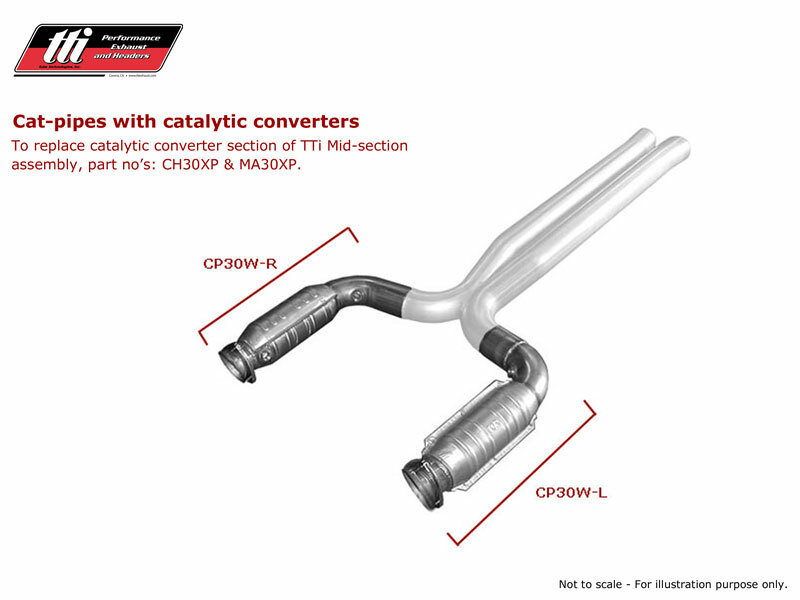 Prerequisite: Factory direct-fit catalytic converters or TTi Header-pipes. 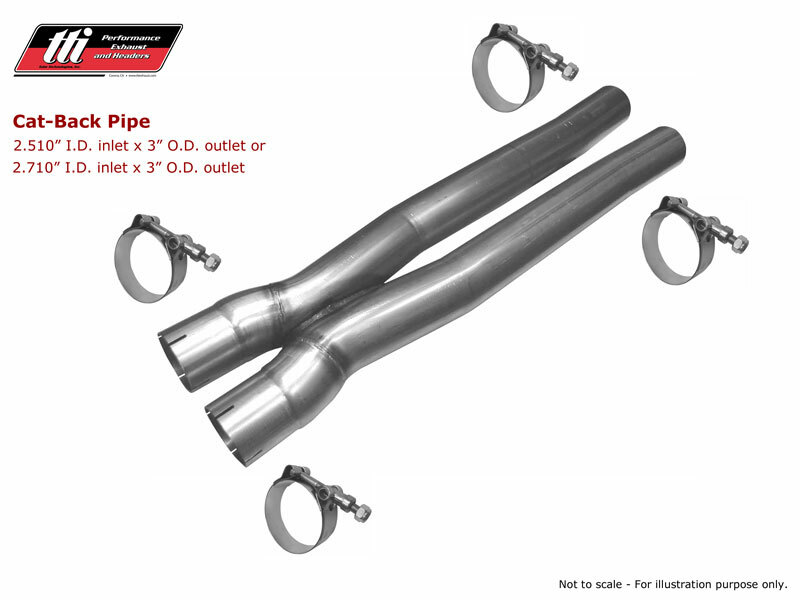 X-pipe Inlet: 2.510" I.D., 2.710" I.D. or 3.00" I.D., swaged & notched for clamping. Includes (4) SS band clamps. 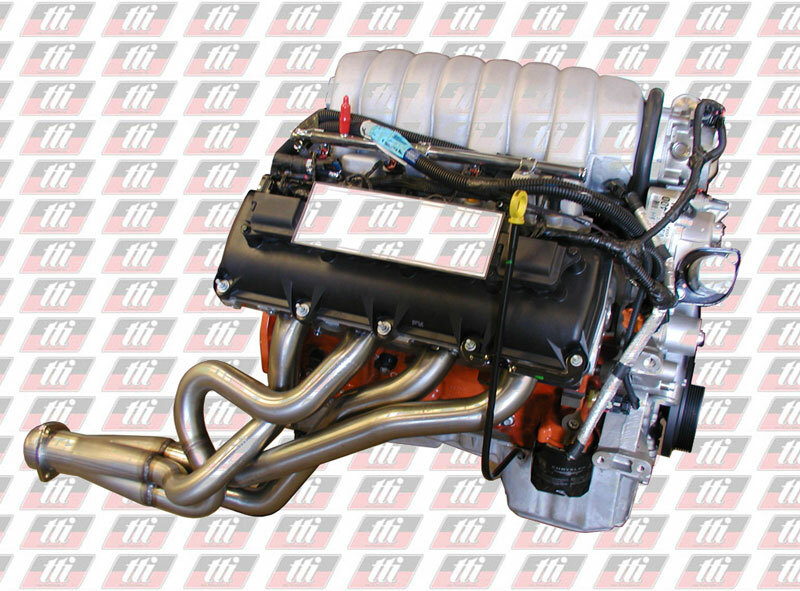 Inlet: 3.0" I.D. 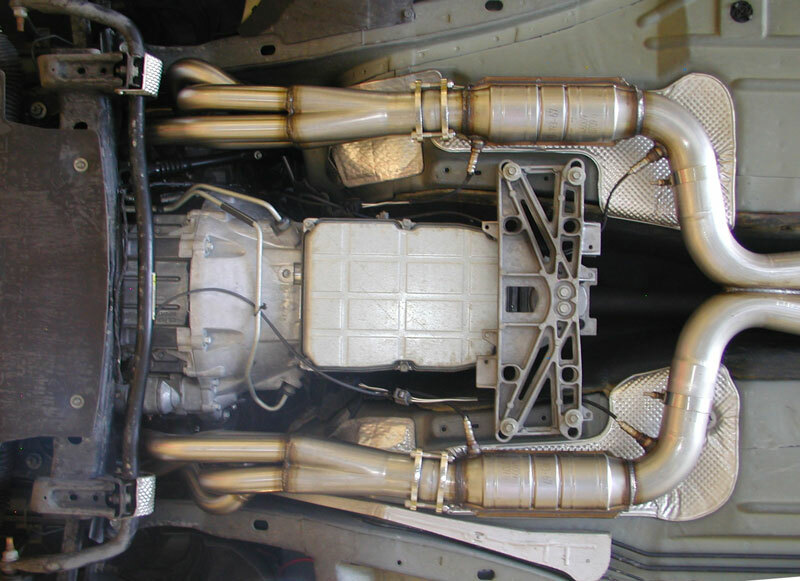 socket inlet with a 3-bolt floating flange. Made of 16 gauge 304 stainless steel tubing, mandrel bent. Equipped with (4) O2 bungs positioned in standard locations. 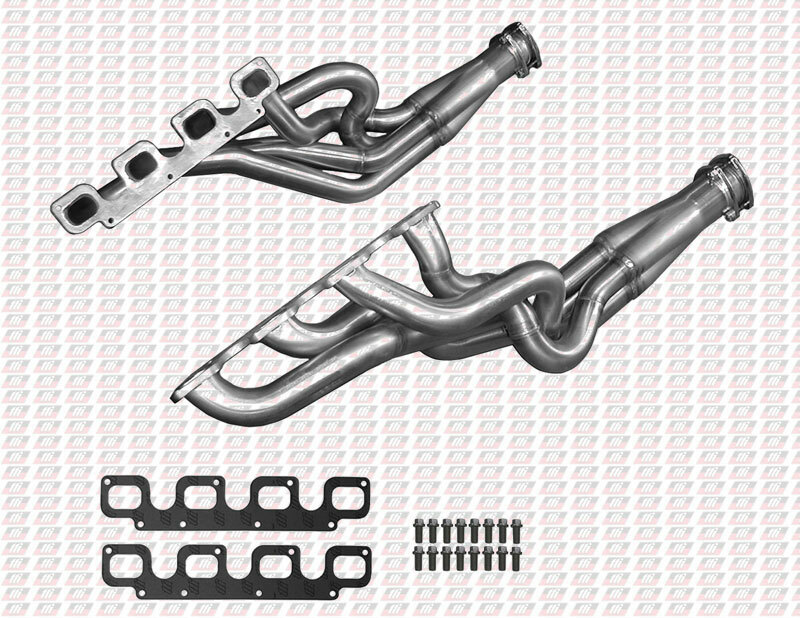 Inlet: 3.0" I.D socket inlet with a 3-bolt floating flange. 3.0" O.D. 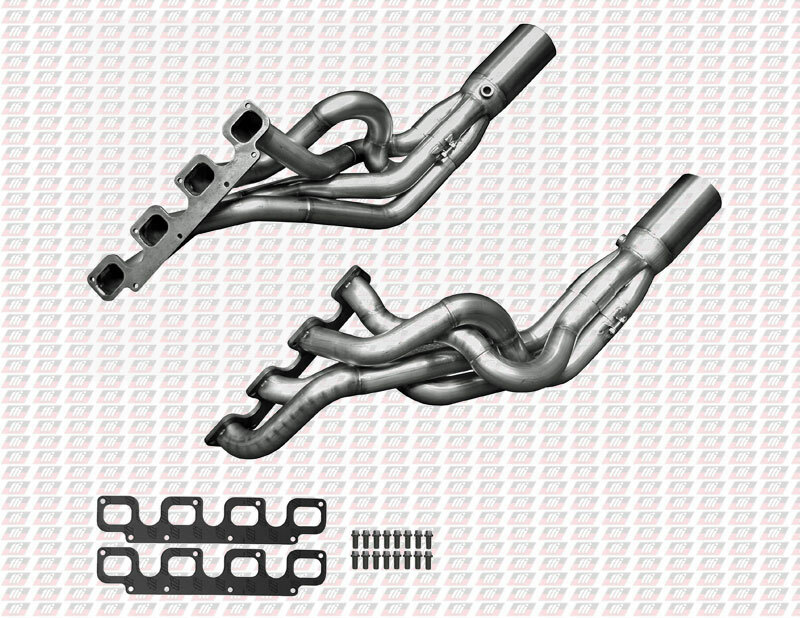 16 gauge 304 stainless steel tubing, mandrel bent on sophisticated computer controlled bending machines for precise fit and uninterrupted exhaust flow. 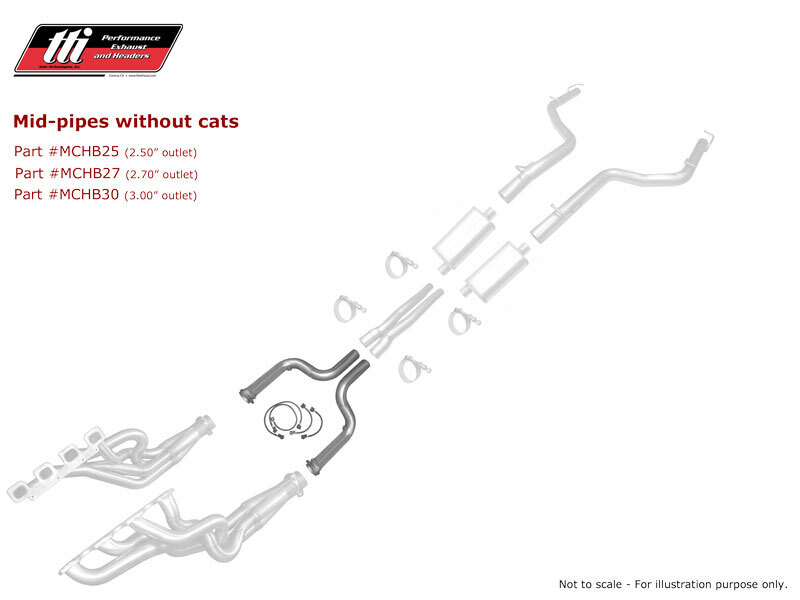 Equipped with welded-on hanger rods. Mounts in stock hanger locations. Includes (2) SS band clamps. 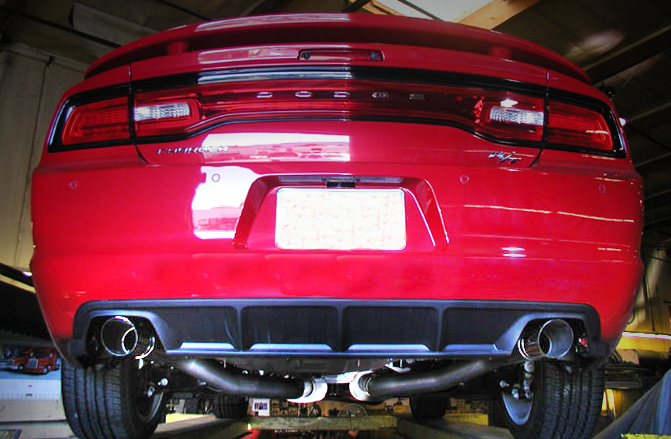 Enhance the appearance of your Challenger exhaust system with a set of our high quality exhaust tips. Durable, long lasting and polished to a mirror finish. 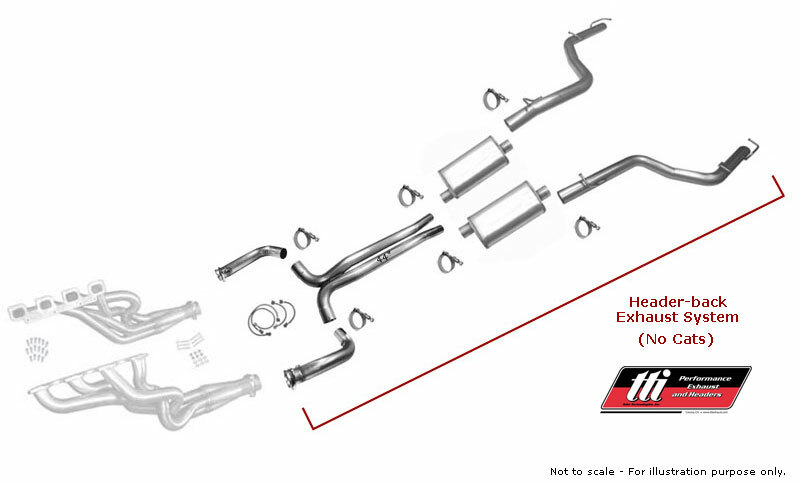 Enhance the appearance of your vehicles exhaust system with a set of our high quality exhaust tips. Durable, long lasting and polished to a mirror finish. Prices do not include Shipping, Handling or California Sales Tax, if applicable. Prices subject to change without notice. 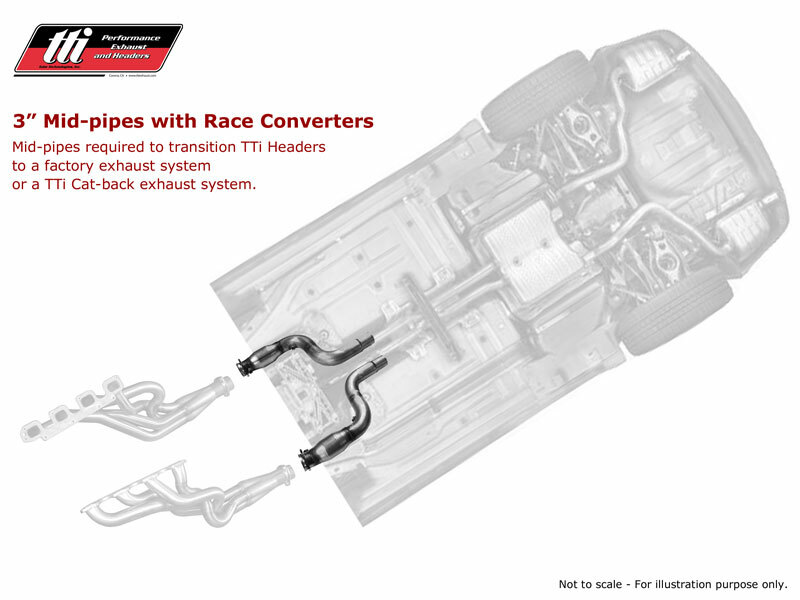 To compliment TTi’s high quality headers, TTi uses the Interface Solution HTX-900 exhaust gasket material. 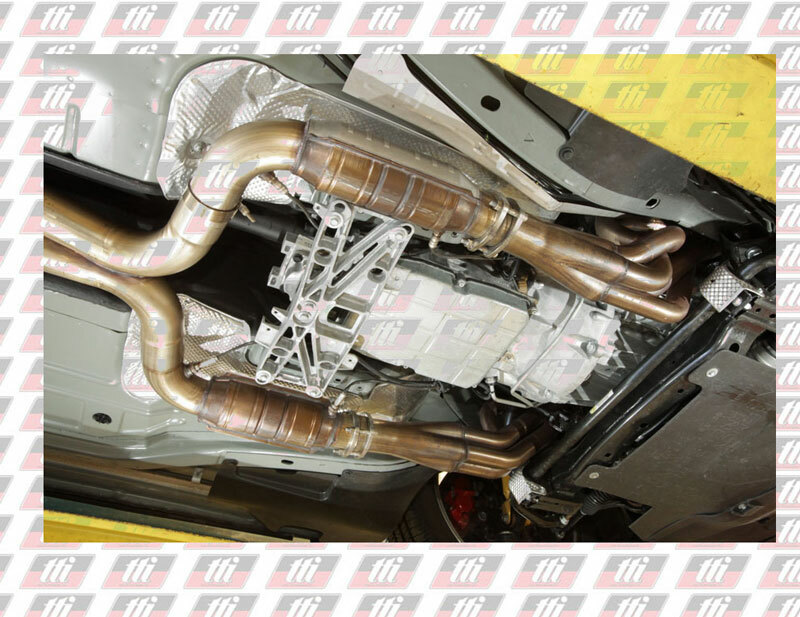 A proven hi-performance exhaust gasket composite used extensively within the automotive high performance racing industry, where characteristics such as structural strength and high-temperature load retention are required to withstand severe under-the-hood operating environments. 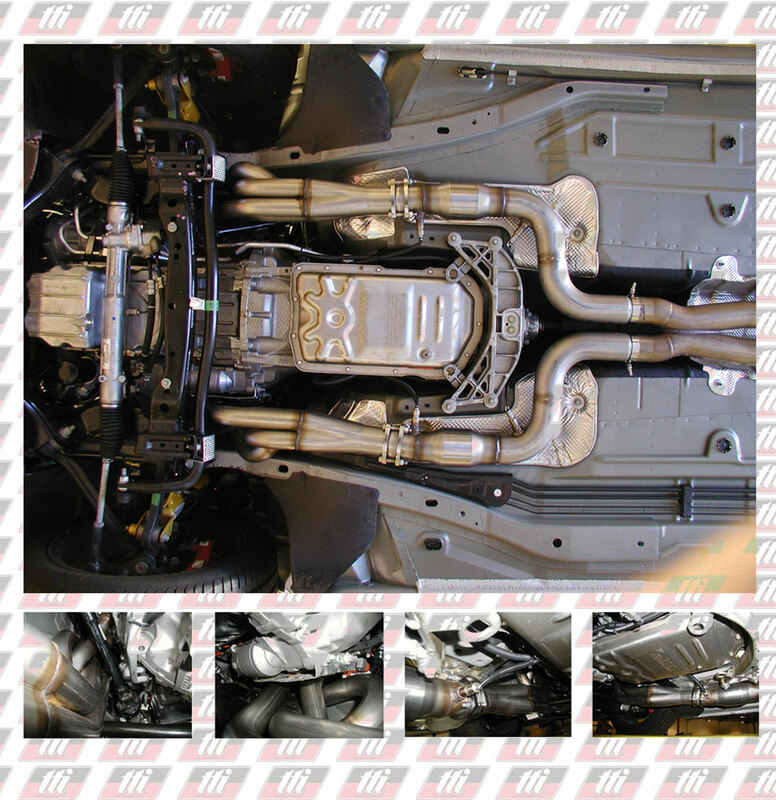 HTX-900 is a high density non-asbestos fiber metal core composite specifically designed for exhaust manifold header and collector gasket applications. The composite construction consist of two graphite coated, heat resistant fiber blend / NBR bound sheets, mechanically and chemically fused to an expanded steel core. 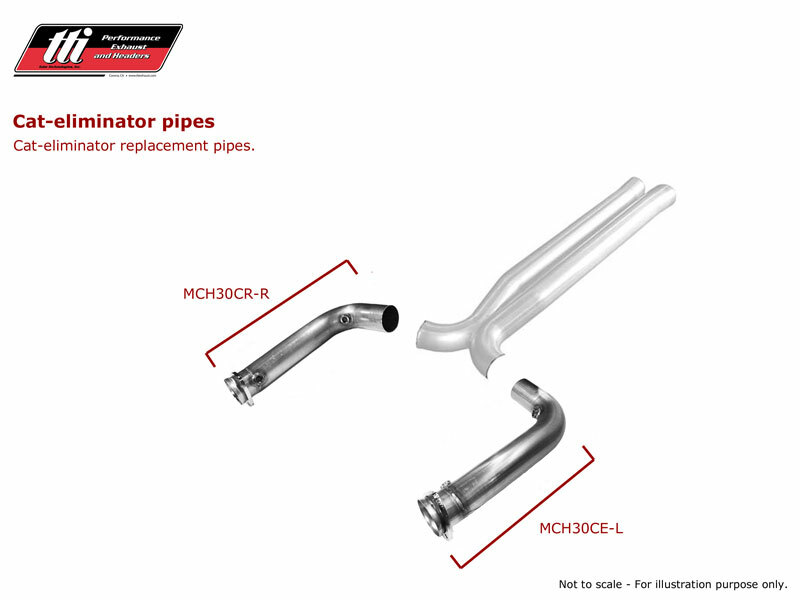 Its robust construction provides excellent sealing performance, high temperature load retention, chemical resistance, structural strength and clean release characteristics upon disassembly. Gasket Material: HTX-900 metal core composite, 1/16" thick. Flange Material: Lightened steel, 3/8" thick. Flange Material: Stainless steel, 3/8" thick.